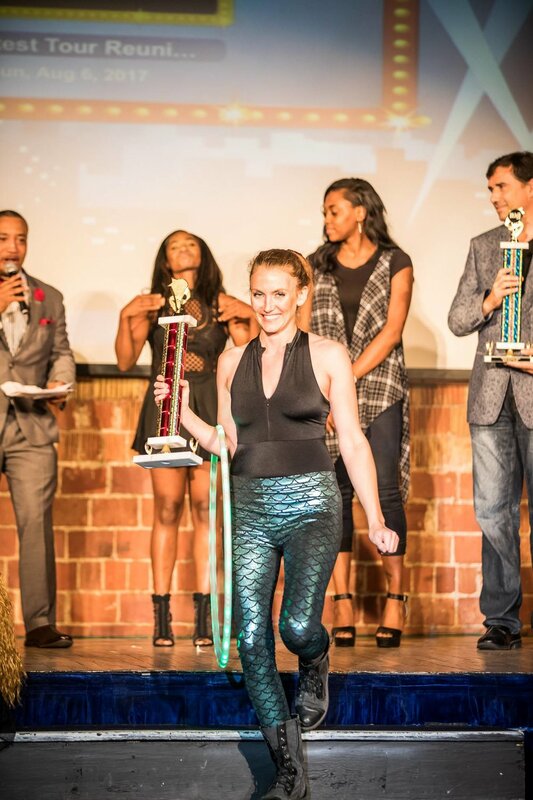 Morgan Leigh took home the gold from Itolduso Production's The Greatest Tour Talent Competition 2017! CirQulate Rocks the Cincy Prohibition Party 2017! We've added a new type of entertainment into our repertoire and what could be better than one hula hooper? Multiple hula hoopers of course! Featuring Morgan Leigh of Spin Happy and Luci Feie of Lulahoops. We put on amazing LED light shows and fire shows! We include choreographed performances that are designed to match any theme! We aren't just limited to hula hooping either and will absolutely dazzle you with our other talents! Check out this video from our performance at Rad Pad Entertainment's Cincy Prohibition Party to catch a glimpse of what we do to enthrall crowds and rock the party! Unfortunately, the home of Spin Happy's hoop dance class, Dancing 4 the Fun of Fit studio, is closing its doors at the end of January 2017. Thank you to all of my students and supporters. I appreciate you believing in me, so that my class had such a long run. I loved teaching all of you and am grateful that hooping brought you into my life! I have decided to take a temporary hiatus from class until a new location can be procured. With the start of my new hoop troupe, Cirqulate and my continuing performance with Enchanted Lotus Belly Dance, my schedule has been quite demanding. I hope to have arrangements made and be back up and running again by this spring. Please keep an eye out for new class posts this spring! Spin Happy is spinning FIRE!!! We are proud to be able to bring you fire dancing and hula hooping for your pleasure and entertainment! We are fully insured and ready to spin should you desire a little fire at your next event! Check out our demo featuring fire performer, Morgan Leigh! Book now! Had a great time performing for this awesome event and raising money for Cancer awareness! Please enjoy! 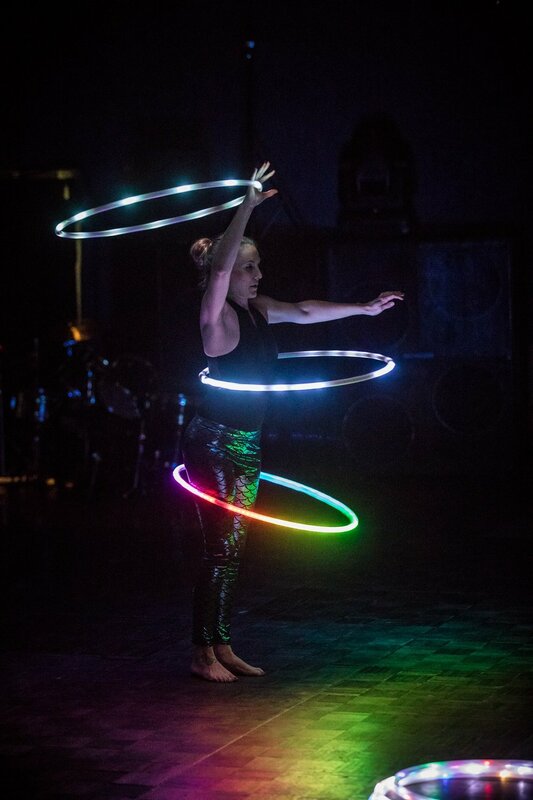 Spin Happy Hoop Dance has found a new place to call home and we are super excited about it! We will still be located in the Goshen/Loveland area, however the new studio is currently under remodel construction and will be up and running as soon as possible! For now Spin Happy will continue to conduct private lessons and hula hoop consultations from a temporary location. Please contact us for more information if you would like to set up a hula hoop lesson, workshop or party! Email us at spinhappyhoops@gmail.com.